With cybersecurity concerns escalating, organizations of all sizes have scrambled to boost budgets, hire talent and improve security operations – all in the hopes of catching up with and defeating a sophisticated and nearly-invisible enemy. But in this rush to build the SOC according to perceived industry best practices, have we truly optimized our human, technological and procedural resources? Or are we all SOC, and no action? 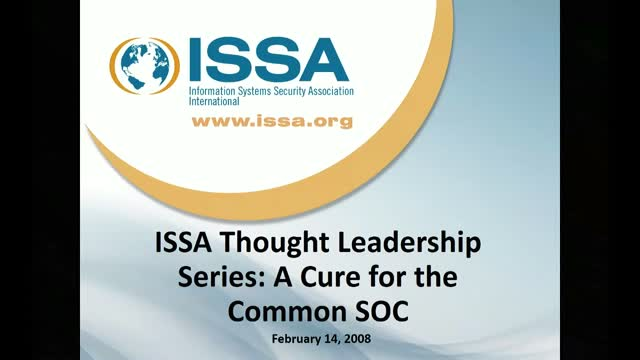 If we took a moment to regroup and build the whole system again from scratch, would it be better than the SOC we’ve reached today by throwing resources at the problem? And if so, where did we go wrong – and how do we course correct? Join a panel of experts to discuss their visions of the perfect SOC and its top priorities while exploring how it can be evolved to achieve them.